Find out the best options for luxury hotels in Florence you can book your holidays at very competitive prices for many destinations in Italy. 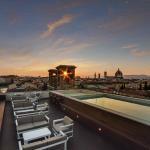 Searching for a luxury hotel in Florence on Traveleurope is quick and easy: just enter your travel dates in the hotel search form and you will get several luxury hotel offers. On Traveleurope you can book online you luxury hotel in Florence with confidence and no hassle thanks to instant booking confirmation, zero commissions and no down payment. Don’t miss this opportunity!